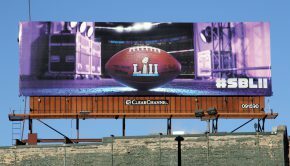 By now I’ve seen the media kits for most OOH providers in the US, and despite the vast structural differences between roadside billboards and urinal screens that respond to the direction of your stream, there is still a common thread adhered to by all. Each describes why, in one way or another, their inventory is awesome and should be prioritized above all others, or how they’ve incorporated mobile as a value-add. OOH companies cannot be faulted for focusing on their good points; the audiences they reach and the frequency they deliver. The question I wish to pose today, however, is whether selling our wares with this value proposition alone is enough to actually grow the OOH channel and the businesses that support it. The share of media spend going to OOH, albeit small, remains fairly consistent year on year, and there’s always growth even if in smaller increments. While that is okay when viewed next to the many other not-so-lucky receding silos, I believe these numbers represent just the floor and deserve little praise. They are the best anyone can expect when merely sticking to the same old script. I have gone as far as declaring that most brands who were going to buy billboards are already doing so, and OOH sales teams must work extra long hours just to protect their legacy revenue. So where will the meaningful growth be found? Like with most products that have reached a demand ceiling, if you can’t add anything new to sell then just broaden the definition of what your product can do to attract more customers. Pharmaceuticals do it all the time: medication designed to reduce blood pressure by slowing the heart rate reached peak demand, and then they started selling it as a treatment for performance anxiety because it helps that too. I worked in a place that makes its money helping brands put ads on billboards, and I remember that getting onto a buy was a rather random affair – with it going either way no matter how good or bad the pitch. We would make it onto a buy saying nothing of the value of OOH, yet would fall off another after weeks of convincing a panel of brand managers it would bring world peace. 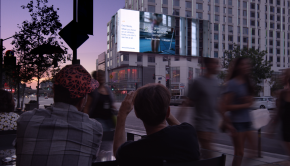 If you’ve experienced similar inconsistency, it’s because brands have steadily grown bored of the traditional value proposition for OOH; becoming desensitized to words like “engagement”, “awareness”, “reach”, “frequency”, “recall”, “affinity” etc. Well here it is, folks. You can have it for free. 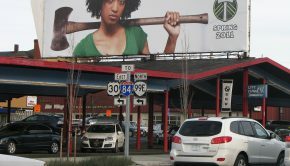 A value proposition that WILL move the needle and attract new advertisers – as well as those who don’t even prefer OOH. Warning: it will mean getting far out of your comfort zone, and require that you counter-intuitively deprioritize the value of your own inventory over other mediums. If you can stomach this, read on. I now work in company that sells mobile media instead (it’s the fastest growing medium today, so don’t judge). This growth is happening despite the embarrassment that click-through-rates in digital media have dropped from about 9 percent in 2000 to 0.05 percent in 2017. 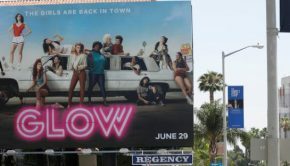 But because I like OOH, I was paying particular attention to an emerging phenomenon that I believe will inflate its media share in the US market by at least an additional 3 percent (from what is now about 6 percent). That’s a lot. When you run a mobile media campaign in, say, the Atlanta market, you can expect an industry average engagement rate. But when you deliver this same mobile media to people who had a high likelihood of seeing one or more billboards, that CTR does a rather remarkable leap upward. I’ve seen 3 and 4 percent! I don’t need to explain the psychology as to why this happens (because I don’t know), except for that when I see something compelling or interesting on a billboard that I don’t have time to respond to because I’m on the road, I welcome the mobile ad that comes later giving me a chance to click and actually hire that personal injury lawyer with the kind eyes. So now, as a mobile seller, I can go back to my client with a report like they’ve never seen. After their hyperventilation fit subsides, I’ll proceed to explain how it was through the careful placement of billboards or digital screens in the local market, from which the mobile media was retargeted, that the gains in efficiency were derived. Working here now I have the benefit of direct access to campaign after campaign, case study after case study, showing how brands across all verticals are seeing surges in digital efficiencies when planned in alignment with OOH. So there’s a new value proposition in town. If you work in OOH, you need to build a sales deck that talks much less about how good your screens are, but rather how your inventory acts as a powerful primer, booster, supercharger – an accelerator – of mobile media performance and ROI. You will be appealing to the budgets of a channel currently getting a LOT more investment than yours, does not require the client to love OOH as a prerequisite and gives you a whole new and irresistible story to tell.